Michael Vavrik received his M.D. degree at Loyola-Stritch School of Medicine and undergraduate degree from Tulane University. He completed his Internal Medicine Residency and Endocrinology, Diabetes, and Metabolism Fellowship at Emory University in Atlanta. 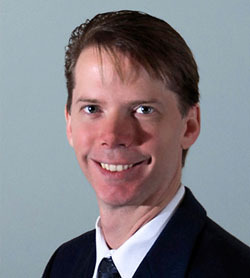 After completing his fellowship in 2001, Dr. Vavrik practiced in the Atlanta area prior to starting West Georgia Center for Diabetes and Endocrinology in 2004. Dr. Vavrik is board certified in Endocrinology, Diabetes, & Metabolism, and a Fellow of the American College of Endocrinology (F.A.C.E.). He is a member of the American Association of Clinical Endocrinologists and the American Diabetes Association. Patient care is Dr. Vavrik's main priority. Latoya Bexley is an Adult Nurse Practitioner, Board Certified by the American Nurses Credentialing Center and licensed by the State of Georgia. In 2002, she graduated from the State University of West Georgia with a Bachelor of Science degree in Nursing and a Bachelor of Arts degree in Psychology. While working as a critical care nurse at Grady Memorial Hospital, she obtained her Master of Science degree in Nursing at Georgia State University. She believes in empowering patients through education and encourages all patients to take an active role in maintaining their health. 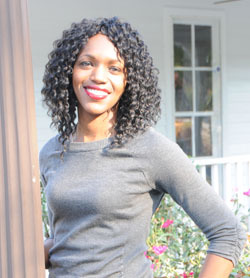 Latoya is a native of Carrollton, GA. She takes pleasure in being able to serve the community in which she grew up in. She continues to live here, in Carrollton, with her husband and four daughters.